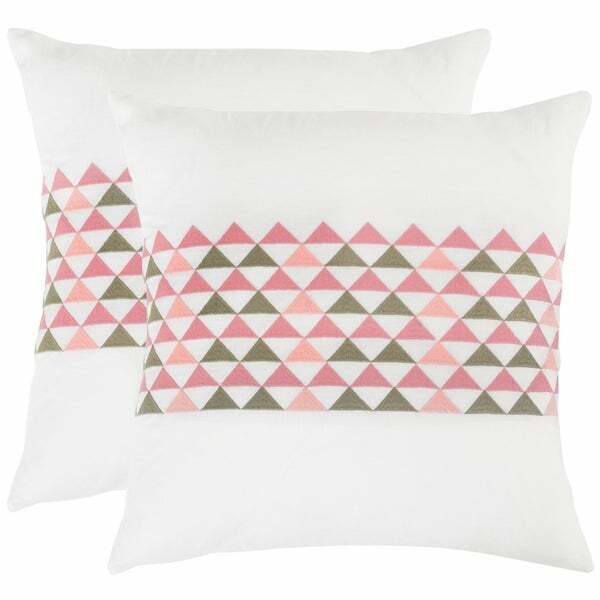 Graphic but softened with a natural linen fabrication, the set of two Geo Mountain pillows in slate features a wide band with alternating light and dark stripes of embroidered triangles. This handsome design features a solid back and plump feather fill. Measures 1 ft. 8 in. x 1 ft. 8 in. Dimensions 1 ft. 8 in. x 1 ft. 8 in.